To provide medical students, residents, health care professionals, and wilderness enthusiasts with a practical, interactive, and enjoyable curriculum for learning, applying, and evaluating emergency medical knowledge, skills, and techniques in a wilderness setting. Through the Medical Wilderness Adventure Race (MedWAR), participants will…. Understand the importance of wilderness medicine for all practicing physicians.  Learn about common wilderness medical problems, conditions, and situations. Learn about the knowledge, skills, and techniques necessary for proper management of wilderness medicine. Practice important wilderness medical skills and techniques. Engage in a competitive format for the evaluation of proficiency in wilderness medical skills and techniques. Understand the importance of proper preparation, planning, and gear in the prevention and management of wilderness medical situations. Understand the importance of physical fitness and its impact on the execution of healthcare provider duties, especially in a wilderness setting. Understand the potential influences and complications of uncontrolled environmental conditions and settings on the management of wilderness medical situations. Develop bonds of collegiality between participants from different schools, hospitals, professions, areas, and backgrounds. Obtain a familiarity with references and resources for self-education and further development of wilderness medical education.